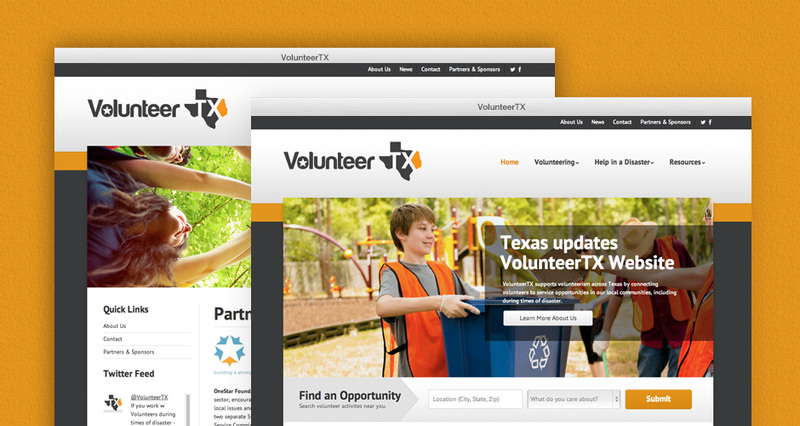 As an organization that brings a large number of individuals together looking to volunteer, Volunteer Texas needed a website that could support the services they provide and also serve as a resource to the people of Texas. After listening to their needs and fully understanding their purpose we set off and built out their online presence. 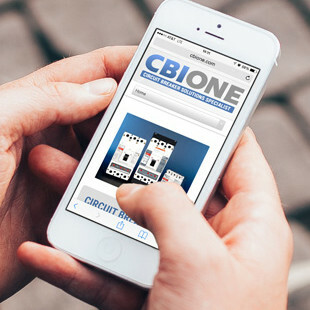 We designed a custom, fully responsive website, built on WordPress as the backbone. 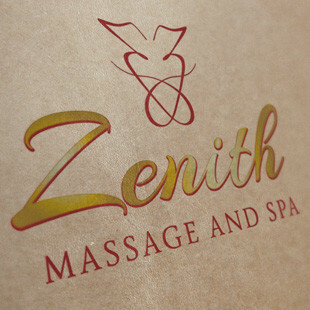 We also revamped their brand and logo to give them a cleaner look. Furthermore, we built out a custom tool that easily allows website visitors to find and contact their nearest Volunteer Center. Finally, we established third party integration so that volunteers can pre-register to help in the event of a disaster, increasing efficiency. 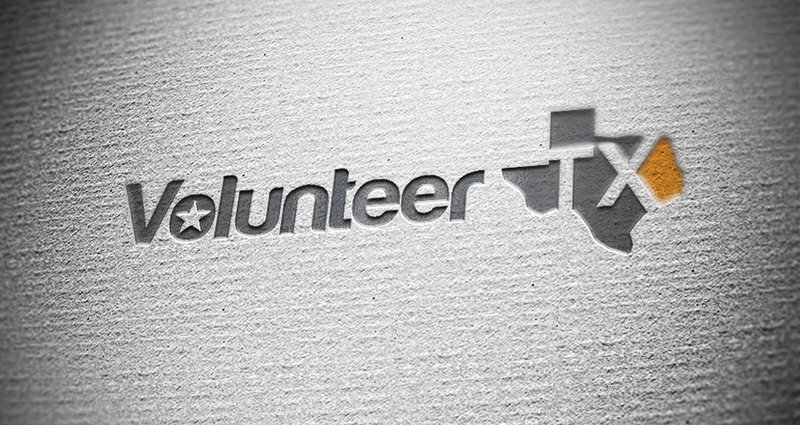 Volunteer Texas is a non-profit (501c3) organization that supports volunteerism in Texas by connecting both Texas residents and out-of-state volunteers to service opportunities throughout the state. 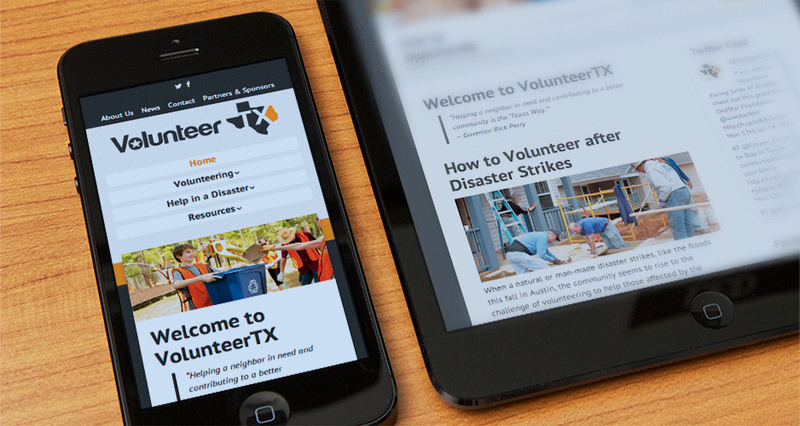 They also offer volunteerism-related research and training, and serve as a resource during disaster or emergency. 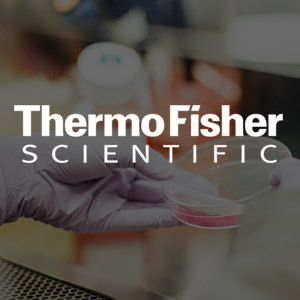 If our professional team and industry experience aren’t enough to prove it to you, check out our Capabilities Brochure. In it you’ll find a bit about us, a peek at our core services, and several case studies of some of our best work. I've worked with many design firms over the years, and I would rank HMG Creative as one of the most professional and approachable teams with whom I've partnered. 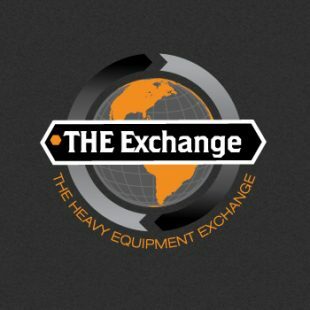 They have excellent customer service, backing up the technical expertise with a commitment to customer satisfaction. Their products not only look great, they are also very functional and easy to use. HMG was extremely patient with us and provided very thorough training – ultimately allowing us to feel confident in managing the resources they created for us. Our relationship with HMG truly feels like a partnership, and I honestly believe they are committed to our long-term success. I would highly recommend HMG to anyone that is looking for help with creating or updating their brand or web presence.